Welcome! Thank you for looking at our condominium! We’d love to have you come stay with us! 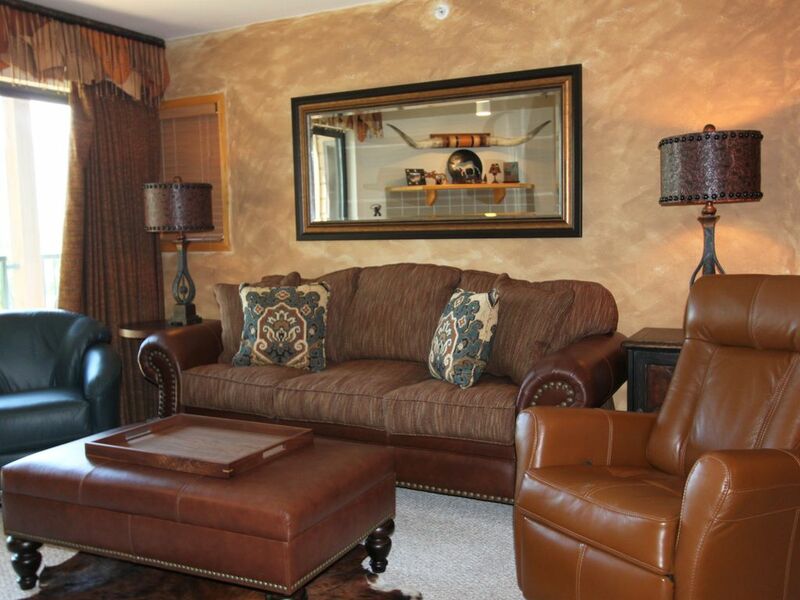 The unobstructed views of Lake Dillon and the mountain range from every window will take your breath away! Inside you'll find a completely remodeled, clean, well maintained two bedroom, two bath condominium that has been beautifully decorated with rustic furniture and your comfort and coziness in mind. We recently replaced all the living room, dining room furniture and all mattresses! It is located in Frisco, Colorado at Lake Forest Condominiums. The master bedroom has a new plush king bed, full private bath, 50" HDTV. The second bedroom has two new queen mattresses, full bath and a separate vanity, 40"' HDTV w/internet access to NetFlicks, YouTube, iHeart radio, etc. The dining and family room have a comfy sofa, recliner and swivel rocker, a 65" HDTV that offers NetFlix and iHeart Radio, a DVD player, free WiFi and a gas burning fireplace. The kitchen is fully-equipped for your gourmet needs and has a Keurig coffee maker. The condo also has a washer and dryer, one car garage, outdoor gas grills and three hot tubs perched up on the hill overlooking Lake Dillon and the Rocky Mountain Ranges. We have spared nothing in our attempt to make your stay comfortable, memorable, and enjoyable. The beauty of the area and the year round activities are what drew us to Summit County. In the winter, you are within minutes of several World Class ski areas, Breckenridge, Arapahoe Basin, Keystone, Loveland (15 minutes), Copper Mountain (10 minutes), Vail and Beaver Creek (30 minutes). Also enjoy cross-country skiing, snowshoeing, and ice fishing. In the spring and summer, bike the Summit County bike path, or boat, sail or fish, right across the street, at Lake Dillon. Golfing, whitewater rafting, and hiking are minutes away. Year round, enjoy shopping in the quaint specialty boutiques or in Silverthorne's 90 Factory Outlet Stores (three minutes).